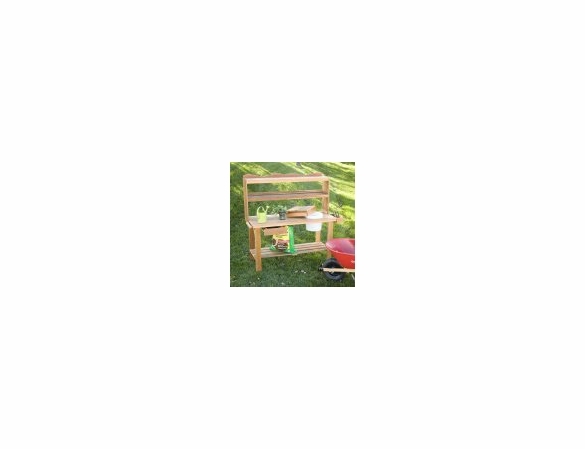 Take your gardening and outdoor lifestyle to the next level with the Cedar Wood Master Gardener Potting Bench from Cedarwood Furniture. 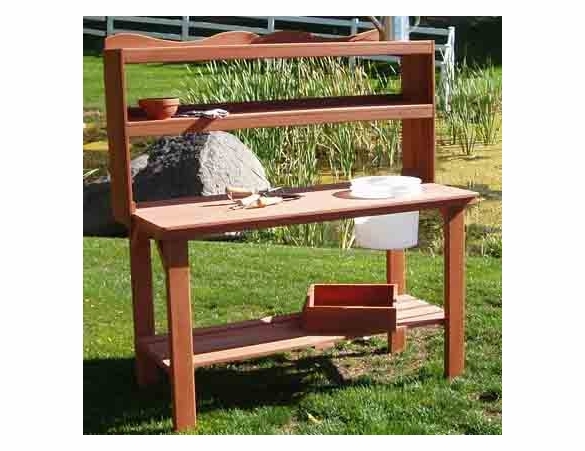 Carefully crafted in the U.S., this Western red cedar potting bench gives you an extra-large workbench to complete gardening chores with ease. 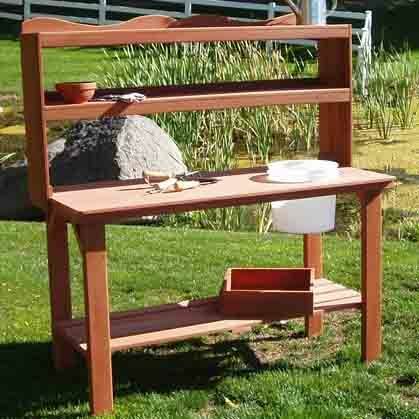 Order this versatile outdoor potting bench with or without a round plastic bucket and cedar soil mixing tray. 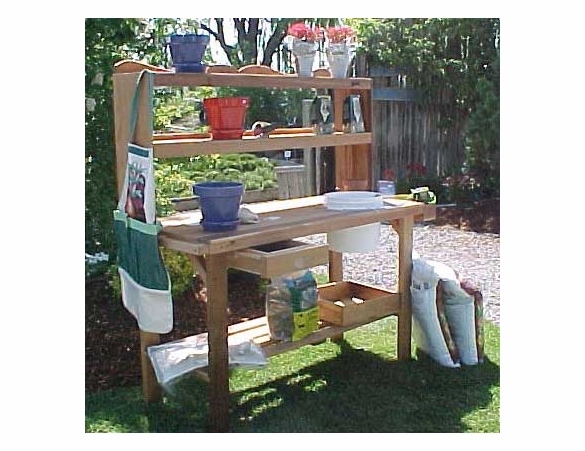 With the optional accessory package, you can even transform this potting table into a beautiful buffet for entertaining family and friends at barbecues and get-togethers.  Premium Select Clear Grain Western Red Cedar Wood.  Kiln-Dried Full Dimensional Lumber.  All natural unstained or optional oil stain.  Illustrated easy assembly instructions. Dimensions: 56" x 24" x 59"
Our party was a great success. We got lots of compliments on the potting bench, and it ended up being perfect as a &quot;cocktail bar top&quot; for a few hours.